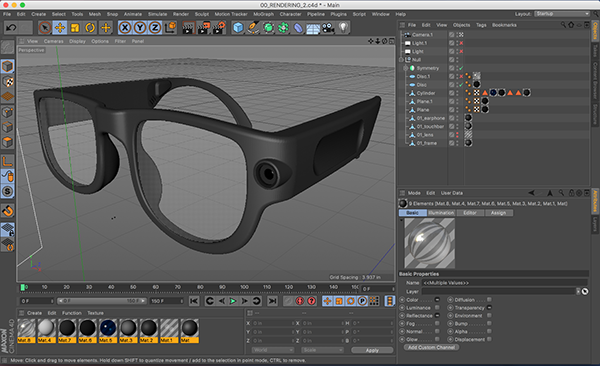 This is a conceptual glasses design, based on the imagination of the near future. I believe that technology may have some quality of transparency, which blends the virtual content into our daily life without requiring us to be equipped with the devices that block our sensations. For examples, current screen device like smartphone and tablet block our eyes and earphone and headset block our ears. 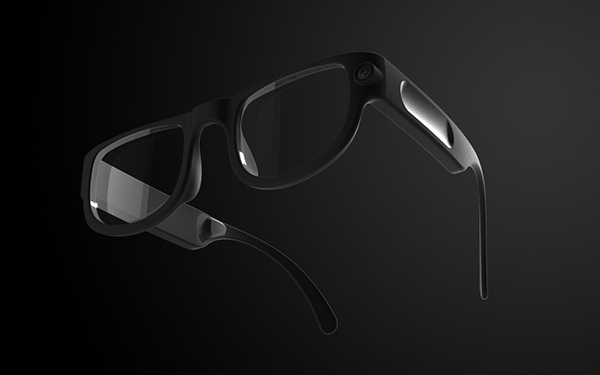 As the glasses no longer a treatment for nearsighted people, it will become a new generation device to connect the internet and convey the virtual content to the real world. 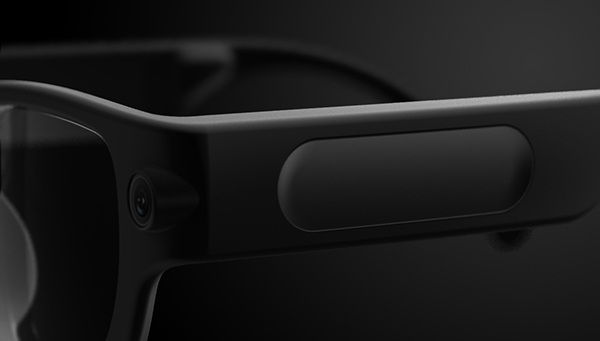 Without an opaque screen which keeps dragging people’s attention from the present and headset makes people unaware of surroundings, this futuristic glasses proposes an ideal that technology should be an enhancement for the real world but not a distraction.